The Ultimate Warrior was ultimately known for his high energy and nonsensical promos. He sprinted to the ring every time (hence the 100m run and 1 burpee). Assault bike because he always shook the ropes, and the Push Press because he always pressed his opponents overhead. 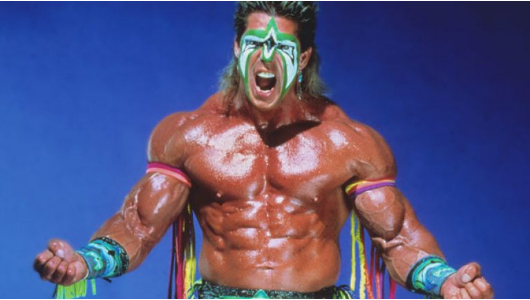 The Ultimate Warrior was most known for his rivalry with Hulk Hogan. In being successful to pin Hulk, he was also the first to simultaneously hold WWE’s Intercontinental and World Heavyweight championships.